President Trump has overridden his own Education secretary, Betsy DeVos, in a bid to stop her defunding the Special Olympics. DeVos caused a widespread uproar when, earlier this week, she announced that the popular sporting event, which caters for those with special needs, would be stripped of federal funding. However, when questioned on the federal funding issue, President Trump himself countered DeVos’s assertion, confirming that the important event would, in fact, be funded. Many pro-life campaigners have highlighted the terrible irony in the fact that Democrats appear to be so outraged by DeVos’ decision — remember, this is a party that also champions the right to terminate the lives of children it deems “undesirable,” such as those with disabilities. Many fear that the Democrats’ radical moves towards more lenient laws on late-term and selective abortion will result in a system similar to that seen in country’s like Iceland. In this wildly liberal Nordic nation, Down Syndrome has been all but eradicated through an expert regime of screening and selective abortion. Just three Down Syndrome babies were born in Iceland during the year 2009. By most estimates, it won’t be long before the country is completely rid of these precious humans, but for a few brave parents who choose either not to be screened or who knowingly keep their Down Syndrome baby — something that, tragically, is becoming distinctly countercultural in Iceland. One thing is for sure — Iceland does not hold a very well-represented special Olympics event. According to the country’s fact-sheet released by Special Olympics.org, some 1,701 registered athletes and partners took part int he 2015 event. Unfortunately, it is unlikely you’d have seen any Down Syndrome participants. Believe it or not, the Special Olympics itself was founded by arguably the most influential Democratic family in American history – the Kennedy’s. As is commonly known, President John F. Kennedy’s sister, Rosemary, suffered from severe intellectual disabilities for her entire life. Noticing the lack of programs available to her sister, Eunice Kennedy Shriver set up Camp Shriver, later known as the “Special Olympics,” as a way of supporting and celebrating the disabled community. Indeed, during a recent appearance on “The View,” Joe Kennedy III talked about his great aunt’s wonderful work. However, crucially, Kennedy missed the point entirely and engaged in an absolutely staggering demonstration of hypocrisy. What should disturb us, however, is that Joe Kennedy III is a prominent advocate for abortion who boasts a 100 percent Planned Parenthood Action Fund rating. Simply put: Joe Kennedy III is absolutely fine with innocent, disabled babies being screened for their conditions and selectively murdered. Does that really sound like someone who is committed to everyone being celebrated and championed? There is no doubt that Kennedy’s family did a whole lot of good work in the area of disability inclusion, but this double-standard must be highlighted in order to ensure the protection of the innocent and the true celebration of the disabled. The first and foremost way that commitment, value and love can be demonstrated to those with disabilities is this: by letting them live. 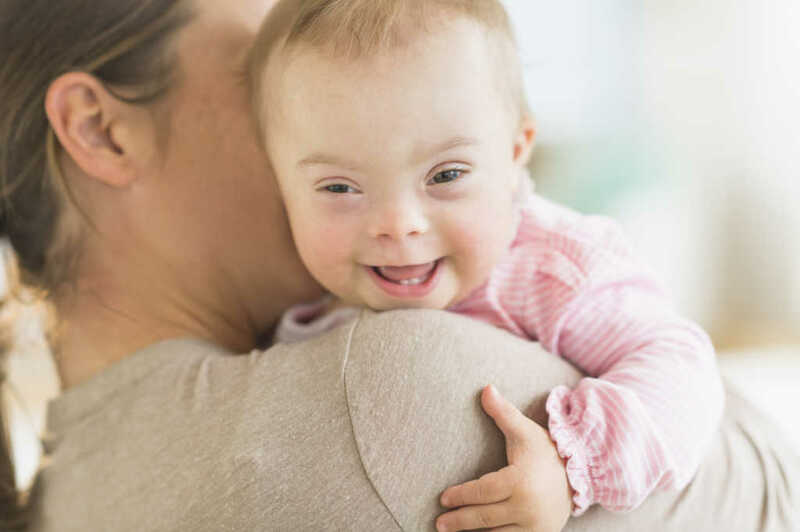 May we all hold true to the declaration that “every life matters,” and do everything in our power to ensure that disabled babies are given a chance at life.